The recent increase in Africa’s urban motorized population has brought about several discussions on the need for sustainable and inclusive urban mobility. 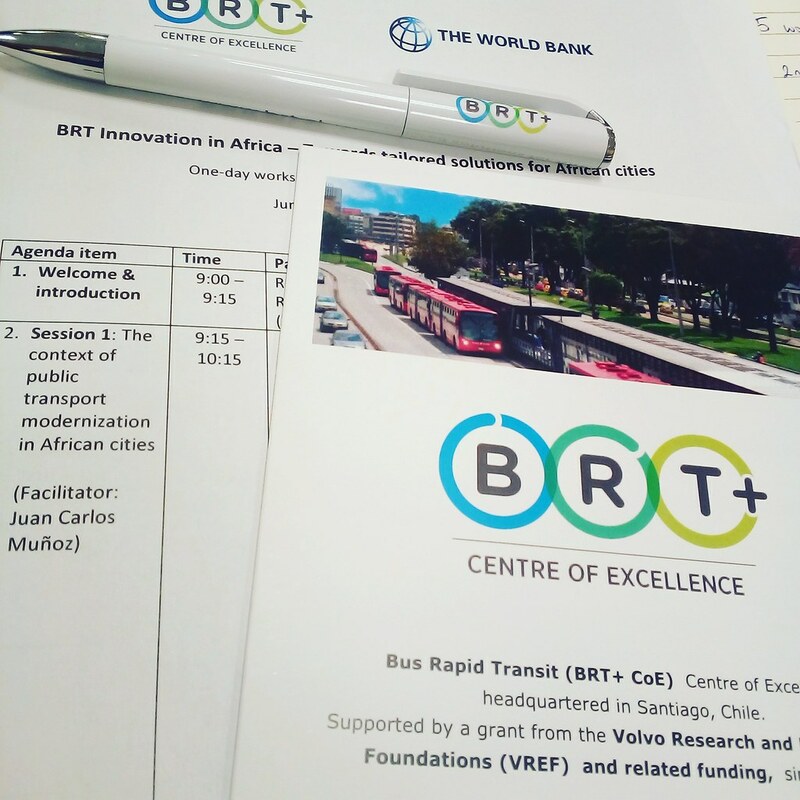 Bus Rapid Transit (BRT), Aerial Cable Cars, Monorail, Metro Systems and improved Non-Motorized Transport are now common terms in African newsrooms and professional transport conversations. Unlike cities in other parts of the world, African Cities have highly varied densities, larger walking populations, lower motorization but high levels of vehicular congestion. Levels of urbanization relative to other parts of the world are also quite low. Additionally, urbanization has come with increased poverty levels. Researcher Jacky Klopp recently pointed out that Africa’s mobility and urban planning is also de-linked from reality. 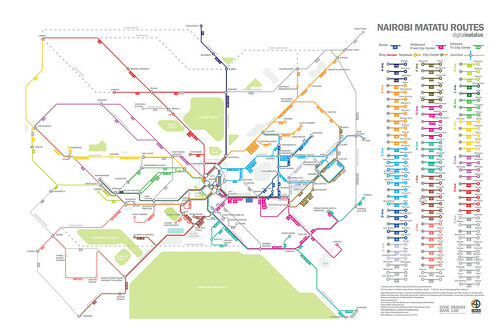 A good example is Nairobi, Kenya, where all public transport is provided by matatus (informal minibuses and buses) yet the city does not mention any plans for them in its masterplan (Nairobi Integrated Urban Development Plan). Addis Ababa also failed to consider integration of existing systems and routes in their Light Rail System while the South African BRT is subsidy dependent whereas minibus taxis are not. Private enterprises have come up with applications in order to try and improve services including Durban’s Moja Cruise, Nairobi’s Digital Matatu and Cape Town’s Wallacedene TaxiRank. Some lessons that African Cities can also learn from other cities include that of not compromising standards by overlooking land use (lesson from India and Curitiba Brazil), understanding that BRT is not an ultimate solution or a replacement (South African lesson) as users have different interests and needs such as negotiated pricing systems (Dar es Salaam lesson). South African cities have experienced lower riderships than expected due to challenges with operating costs (thus subsidies) and a poor relation between land use and the system. Dr. Dayo Mobereola, the initiator of the Lagos BRT, offers interesting insights into how BRTs should be modeled in Africa. Although they were the builders of the infrastructure in Lagos, LAMATA (Lagos Metropolitan Transport Authority) , deliberately involved mini-bus operators on those routes. The operators formed a cooperative, bought the first 100 buses through a financing agreement negotiated by LAMATA, and paid back the banks through the fares collected (money from fares went first to the bank and not to the operators). The success of the system ensured that the loans were repaid within 18 months. Unfortunately, an associated drawback was laxity by the operators whose income had increased tremendously. LAMATA also learnt that they should have had a post financing arrangement that explored options to reserve funds for maintenance and development purposes (Maintenance, Research and Development are not common terms in this sector). The main lesson from Lagos, however, is the importance of institutional coordination and that of ensuring consensus among operators. ‘We decided on a BRT that meets our own needs. Standards is what meets the needs of my people’ – Dr. Dayo Mobereola. It is therefore essential that cities have a policy framework in place before embarking on BRT or other transportation projects. African Cities should, however, be ready to embrace changes in their public transit. Incremental and inclusive development is key. They ought to communicate constantly with stakeholders – operators, passengers, land owners, other state organs. Safety and security with regards to other modes of transport are other important considerations as well as land use for the sake of compatibility. As Cities like Nairobi talk about implementing BRTs, government ministries and authorities must take the lessons learnt from other countries very seriously if they want their systems to succeed. These are some of the notes taken during a Workshop organized by the BRT + Centre of Excellence in conjunction with the World Bank in Dar es Salaam, 2018.